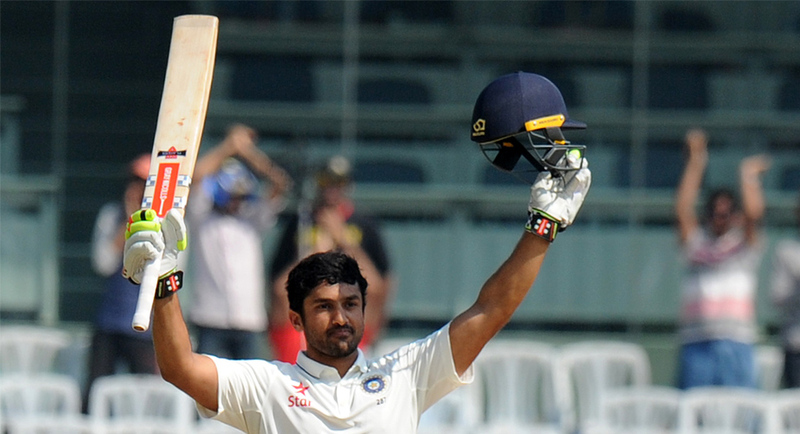 Nair was unbeaten on 122 with all-rounder Ravichandran Ashwin (9 not out) as India lost the lone wicket of Murali Vijay. Karnataka youngster Karun Nair's maiden unbeaten century helped India post 463/5 at lunch on the penultimate day of the fifth and final cricket Test against England here on Monday. For England, debutant left-arm spinner Liam Dawson was the only successful bowler in the first session as the hosts are just 14 runs shy of the visitor's first innings total of 477.